Lang Hancock went over the top in excoriating his ‘once nice but now fat and ugly’ daughter, Gina, for accusing his wife Rose of being a gold digger. That didn’t stop Gina Rhinehart from forcing an inquest into her dad’s death. She accused Rose Hancock (then Porteous) of being involved. Nor did it stop her from paying witnesses sums of $250,000, $200,000 and $50,000 to give evidence against Rose Porteous. She was most concerned about how things were going to pan out in the wash as between Rose and herself, you see? So she went on the attack. The inquest found no evidence that Rose was involved in her husband’s death and the government considered charging Gina for what looked suspiciously like bribery. BRW’s Rich 200 now lists Gina Rinehart, who did end up inheriting Hancock Prospecting, as Australia’s richest person. She’s done well. Her wealth in the Hancock Group is now assessed at $10.3 billion and she’s up there as Australia’s number one. Number two on the list is the quiet Ivan Glasberg of ‘commodity trader’ Glencore, at $8.8 billion. Amongst others, Glencore controls the Australian coal miner, Extrata, and the metals miner Mt Isa Mines (MIM). Number three is Andrew Forrest (Fortescue Metals Group). Andrew’s a scion of the famous Australian explorer, John Forrest. The three people head companies having mining interests in Australia, right? You understand how mining works? The companies are given lease rights to mine particular pieces of land and the state levies a royalty in favour of the people. This has historically been grossly under-assessed. Prime Minister Kevin Rudd announced the federal government’s intention to adopt Ken Henry’s panel’s recommendations in respect of the super profits tax on mining. 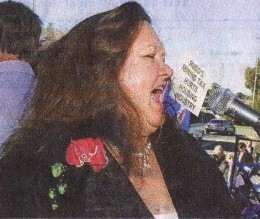 However, Gina Rinehart, ‘Twiggy’ Forrest and their friends quickly got $25 million together to dispute the government’s decision. They protested in the streets and advertised on TV that the tax would see miners move overseas and mining employment drop. How this would happen was not made clear: the mines certainly couldn’t be taken overseas, and wouldn’t other mining interests simply move in to take over the leases? Australians, and most of the media, even The Daily Reckoning, fell nevertheless for the mining magnates’ propaganda – hook, line and sinker. The Labor Party’s backroom boys sacked Kevin Rudd for being so stupid as to want to go ahead with the mining super profits tax on mining regardless of worsening opinion polls, promoting Julia Gillard to Prime Minister instead, because Rudd might lose the looming federal election. So, the miners’ deceit and trickery against the people won out. The 40% profit rental was dropped in favour of a more modest mining resource rent tax (MRRT). The big miners, and most Australian taxpayers who would continue to carry them on their backs, were both happy again. So, whilst all Australians are actually entitled to a greater interest in their mineral resources, they chose instead to forego it – to pay higher taxes – so Gina, Ivan and Twiggy could become even richer at their expense. We are said not to be as philanthropic as the Americans, but this is not correct. Australians major in being very proficient at that most perverted form of philanthropy of all – giving to the rich.